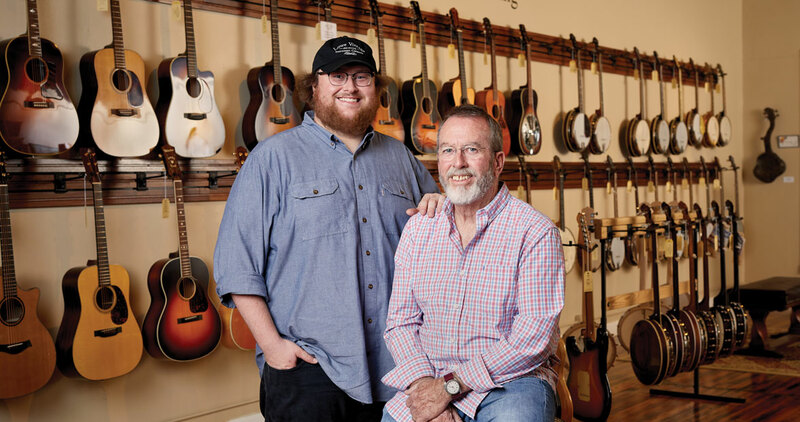 At Lowe Vintage Instrument Company, a father-and-son duo treasure the gift of music. The honey-hued heart-pine flooring of this 1886 building in downtown Burlington is itself a pretty piece of work, but the real beauties are hanging on the walls: dozens of guitars, banjos, and mandolins. These are vintage instruments, defined by father-and-son owners Ed and Will Lowe as those made before 1969, when Brazilian rosewood, which produces the finest wood tone, was added to the endangered list. And while collecting instruments began as a hobby for the Lowes, it soon turned into an obsession — and then led to a lack of space. Hence Lowe Vintage Instrument Company, which opened on Main Street in 2014 after a decade of online sales.